Etude House has now docked in the cosy enclave of Bugis Junction, so time to rejoice my fellow Easties! It's beautiful trademark pink space was unveiled on a cheery Friday, and opened with much fanfare as it features exciting new interactive elements, including the first-ever ETUDE HOUSE social gaming wall and an automatic digital nail art printing machine straight from South Korea! Like their other outlets, there is a designated vanity area for their makeup artists to give you express makeovers; and the coolest vending machine, where you can redeem tokens to try your luck to snag something cool! More fun stuff: you can play the selfie game to unlock surprises and win points! To be honest, I usually think of Etude House makeup ranges first while skincare takes a backseat. I was actually pleasantly surprised when I tried the 2 new skincare series. First up is the Etude House Pink Vital range- a cheery pink series formulated to relieve skin fatigue, by boostering the hydration and anti-oxidants into skin for a healthy luminous complexion. It's signature ingredient – PINK PEACH WATER ™ - is a blend of peach tree sprout extracts and high levels of Vitamins A, C and E to recharge and revitalize skin. 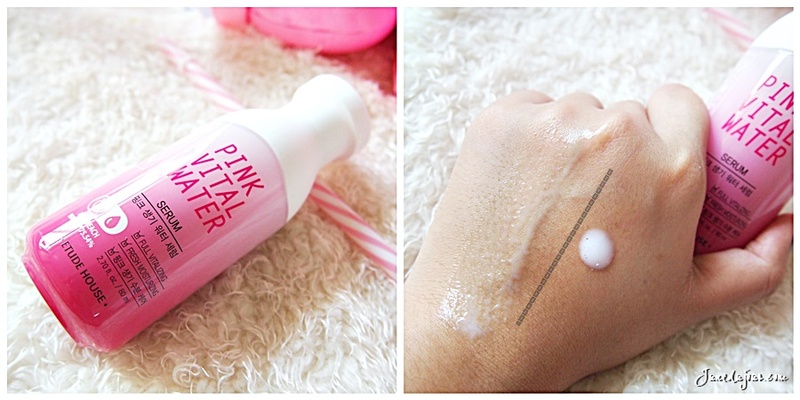 Personally I'm more used lighter eye-gels so I found the Pink Vital Water Eye Serum ($28.90) abit heavy for my liking. Nonetheless, it was particularly effective for this one night where my eyes were puffy from crying too hard over a recent romance-tragedy movie I watched. TIP: slather a nice sparing layer and place a chilled spoon over each eye for fast acting de-puffing. Off the entire range, I think the Pink Vital Water Serum ($26.90) was my favourite. 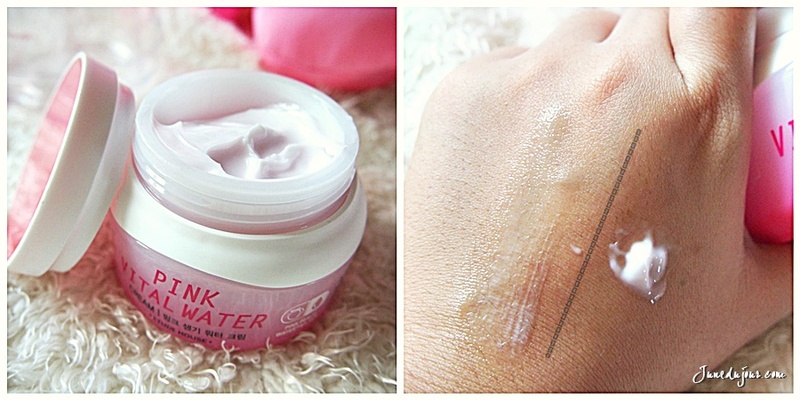 It has a lightweight milky viscous texture becomes almost watery like when massaged into skin. Fast absorbing without any tacky afterfeel, it's perfect even to mix it with my liquid foundation to have a more smoother application. 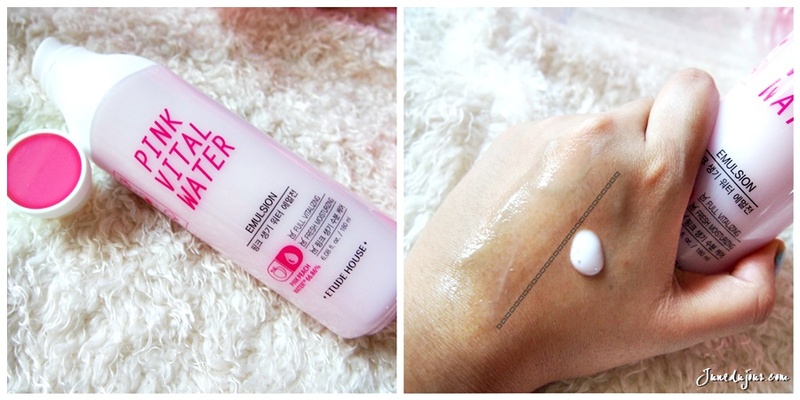 For day use, my choice is the Pink Vital Water Emulsion ($25.90), and I like using this after layering on the serum. It soothes out in a silky texture onto skin, and acts as a pretty nice pre-makeup base. Again fast-absorbing without leaving any greasy afterfeel. 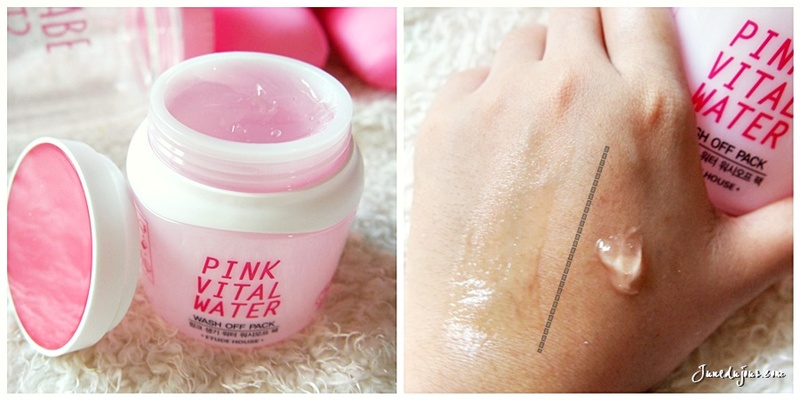 Although I'm more used to sleeping masks, this Pink Vital Water wash off pack ($20.90) was fun to use! Throw it in the fridge prior to using before using the accompanying applicator to slather a generous amount on your face. It's jelly-like consistency is very cooling and pleasant to the skin, and is very fast absorbing within the 15 mins it's left to sit. If you're lazy to wash the mask off, then I'd recommend the Pink Vital Water Cream ($27.90), which has a lovely cream-souffle like texture. I'd say that I like this better than the Honey Cera's one due to its more fluffier texture and help it melts into skin. Gorgeous sweet scent! 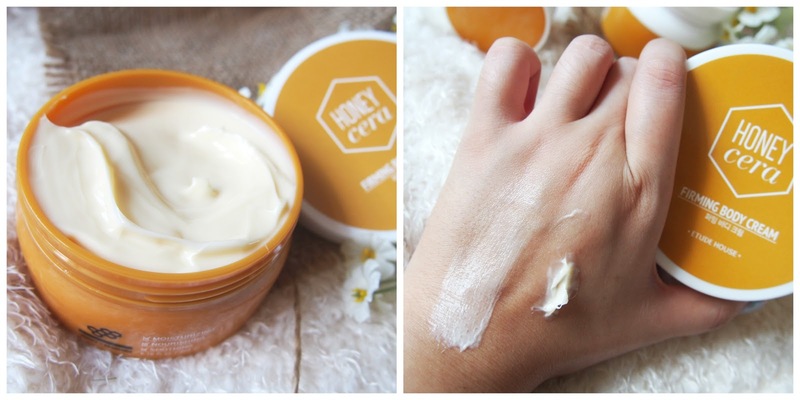 Next up, is the honey and royal jelly-infused Honey Cera range, a new anti-aging skincare range that promotes moisture regulation and elasticity, whereas royal jelly boosters vitamins, minerals, and amino acids for healthy firm and supple skin. It's special ingredient is the Immortelle Flower- a miracle botanical that doesn't wither even when cut! cut off from its stalk. 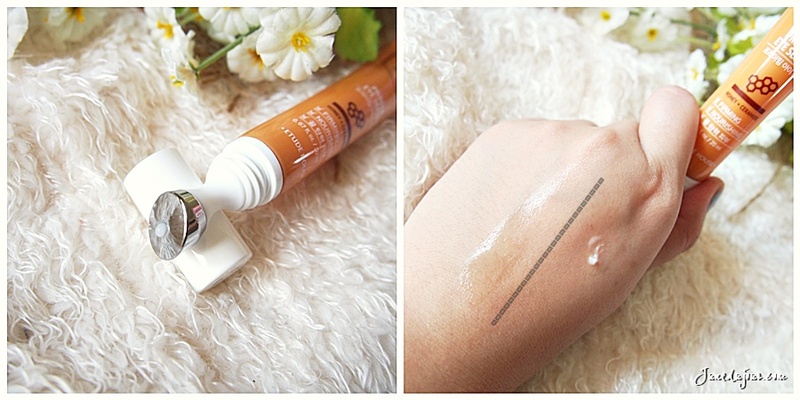 I liked the Honey Cera Eye Serum ($39.90), which comes together with the a metal flat-head applicator for easy use. 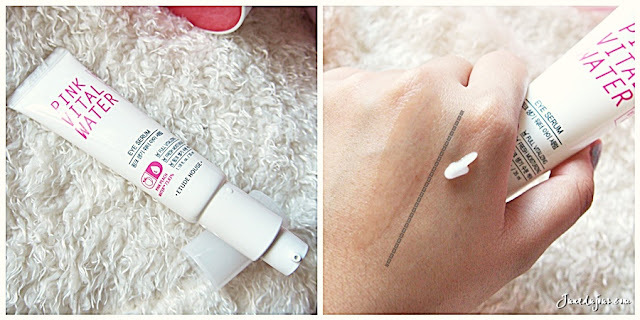 The texture is a very light, translucent gel which gets absorbed and mattifies quickly when applied. Coupled with coolness of the metal applicator which I felt helped speed up the de-puffing. 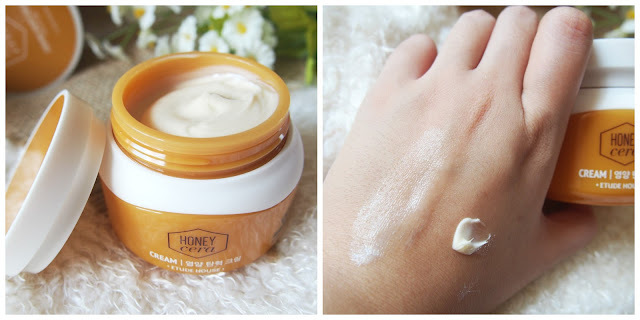 If you have heavier eyebag situation, I would recommend the Honey Cera Eye Pack ($36.90), a light cream that provides a richer hydration for those with dryer skin types. TIP: I like applying this around the eye corners and under eye, before applying a warm wet towel over to help penetrate the product into the skin and boosting the effects. 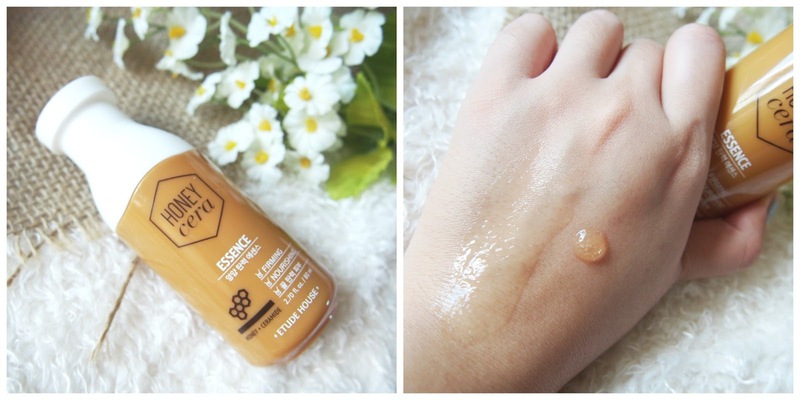 The Honey Cera Essence ($39.90) when dispensed, it looks exactly like honey and had a translucent orange gel-like texture. It applies well onto skin to leave a thin layer of silky moisturization on skin. Although I like layering serums and essences under a day cream, this one is heavy enough as a standalone. Sadly, this did not work out for me. I found the Honey Cera cream ($37.90) far to rich and heavy for my combination skin...almost like a salve and it felt a tad greasy. If you are a dry skin type or heading to colder country for holiday, I think this would be perfect against dehydrated skin. But in our humid climate, even a small dollop was uncomfortable to layer my makeup, and I think it caused my skin to break out slightly. On the other hand, the Honey Cera Firming Body Cream ($22.00) which had a similar texture the face cream, was perfect for my body use. Due to my eczema, my skin is very dry and I prefer a richer cream. With the infused honey and ceramide extracts, I felt helped soothe out drier parts such as my elbows, knees and feet. TIP: It's nice to use this as a substitute for massage oil, so that you can booster the slimming effects and ceramide to firm skin up. Thankyou Etude House Singapore and TOUCH PR! Do stay tuned for my next post on the Etude House Real Powder Cushion and the rest of my beauty haul I garnered during the launch party. Till then...stay pretty ladies!